Bold and resourceful. Energized and curious. Ready to solve problems and eager to apply new ideas. This is the brave territory where we come together, and it’s hard to get there if you’re not having fun. As the team’s glue guy, Jim ensures that we operate smoothly and above all, effectively. 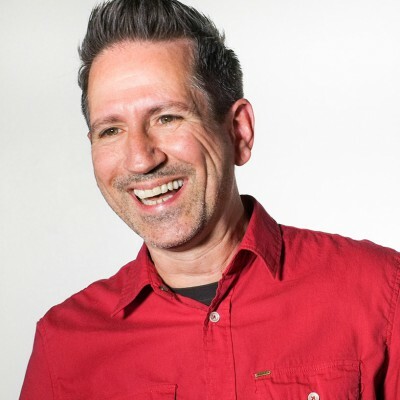 Jim has 6 years of experience working in Chicago advertising, where he’s revamped the project retrospective process at both small-sized boutiques and larger pharmaceutical marketing agencies. His past participation with brands like Champion USA, L’Oreal, and Entyvio helped him simultaneously keep projects running on time and budget while keeping teams and clients satisfied in the process. His overall ability to keep projects on course, along with his impeccable people skills, provide our clients with worry-free, successful projects that accelerate their business to the next level. Sabermetrics, action movies, and tailgating. As an owner at envisionit since the beginning, Jason has been integral in defining the direction of the agency and driving our growth. 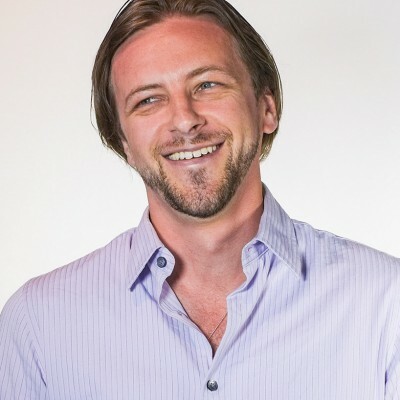 Having built a reputation as a "solution sculptor," Jason leverages his unique skill set to craft impactful journeys for our clients as they strive towards their desired outcomes. 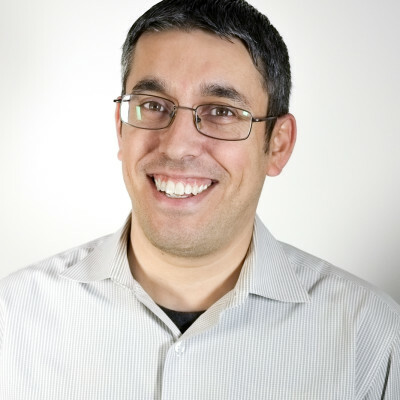 Early in his career, Jason's focus on developing environmental wayfinding programs for Avis, BMW Mini, and Cingular Wireless nurtured a unique perspective on user experience. Jason has become a veritable Swiss Army knife for the agency, building a diverse repertoire across design, development, and marketing. His experience helped lead the strategic direction for Toyota, Equal, Home Run Inn, Braintree (PayPal), The American Egg Board, and many more. When not leveraging his creative approach for our clients, Jason can be found at music venues across Chicago, trying to introduce his two young children to the pillars of rock. What is one thing you look forward to every year? Summertime in Chicago. Nothing helps you appreciate a Chicago summer like a Chicago winter. Be careful of advice received from your older self. It might be a trap. 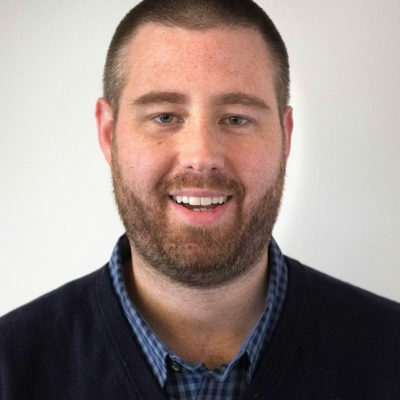 Chicago South Side native Erik joined envisionit – and rejoined several colleagues from a previous agency – with years of experience cultivating a keen eye for SEO. 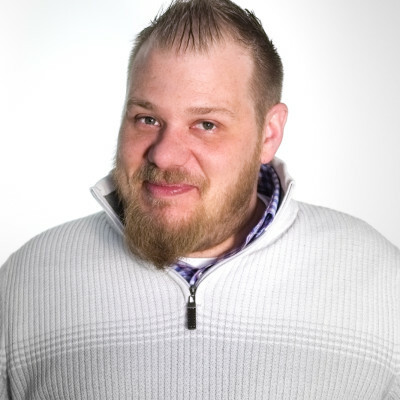 Erik’s fascination with how websites work and the strategy to make them successful led him to become a specialist in paid search and conversion rate optimization. However, he really enjoys the opportunity to keep building his SEO capabilities while creating dynamic work for our clients. Erik is also one of many envisionit musicians – he’s been playing drums since age 10. Kelsey is a traveler, a runner, a baker, a book fiend, and our Content Manager. 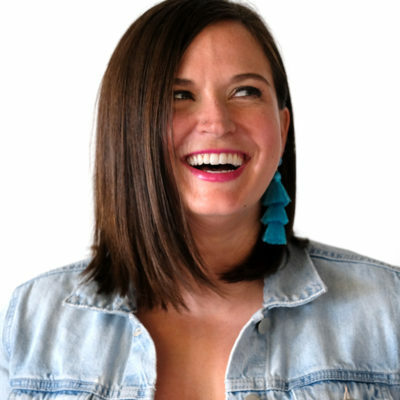 She works directly with Choose Chicago writing blogs, building out editorial calendars, working with partners, and even helping out with the content strategy. She’s a perfect fit here at envisionit. She started as a journalist—and still manages to do some on the side—and moved into the marketing world when she realized how much she loved the combination of psychology and writing. And she loves to check out new and exciting places in the city, the suburbs and abroad—she’s an avid solo traveler. So destination marketing is kinda her thing. My Kindle, my passport, and my running shoes. Baking! If we're friends, you're probably getting a batch of macarons for your birthday. Every agency needs someone who has seen it all. 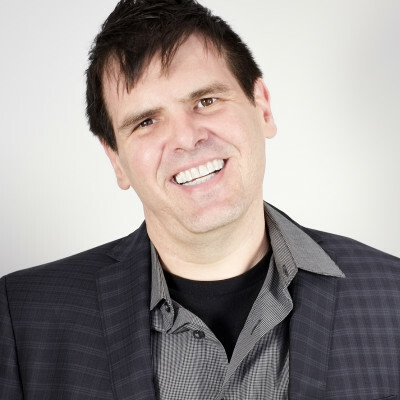 In his 20-year career, Keith has developed countless campaigns in nearly every category, working with clients such as Braintree, Nestle, Gillette, Trek Bikes, Rubbermaid, SEARS, and The Home Depot. That irreplaceable experience is brought to bear daily, as Keith directs every initiative through the lens of our clients’ goals—well seasoned at helping them achieve more than they thought possible. I love cycling, whether it’s just a ride to the office or a 100k. What’s one experience you would love to have? At some point, I’d love to take two months off and travel around Europe. Congratulations to our friends at Hyperwallet and PayPal! 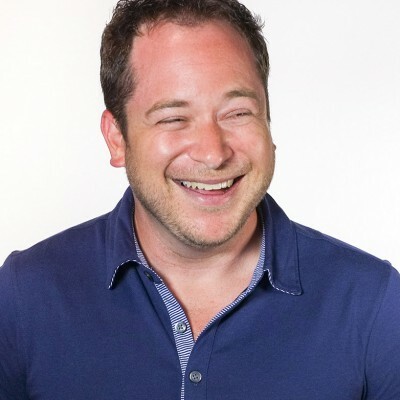 Steve brings years of social media and marketing expertise to envisionit to help our clients connect and engage with their customers in a way that turns them into brand advocates. Always on top of the latest trends, with a keen understanding of strategy in an ever-changing field, Steve even shares his knowledge with students at the College of DuPage and Benedictine University. He’s just the kind of social media expert that we (and you) want to optimize your campaigns. I am embarrassed to say this, but, ironing. I grew up watching my mother and grandmother iron just about everything in the house, so now I’m a pro, too. Amber brings a magnetic energy to building engaging, results-driven creative experiences and campaigns for our clients. A big believer that digital strategy and thought-provoking storytelling should always work hand in hand, she leads the creative team to craft inspiring work that’s a culmination of consumer insight, deep client and product knowledge, problem-solving, and hard work. 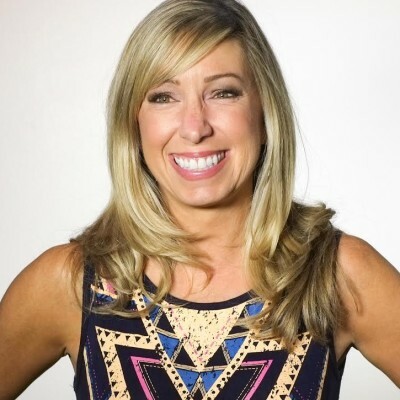 She approaches every challenge from multiple perspectives—having crafted compelling stories at boutique agencies on a range of leisure, luxury and healthcare brands, at larger agencies on Fortune 100 clients like Coca-Cola, MillerCoors and Kraft Foods, and even client side at a craft brewery. And she does this quite often with a side of fun-filled sass. 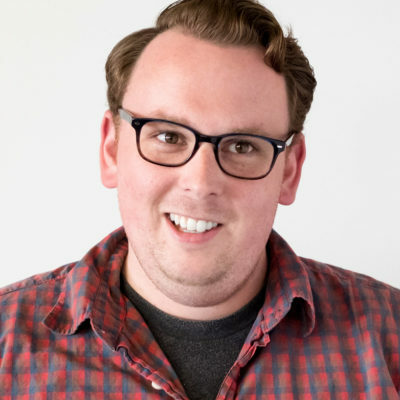 With a track record of developing and launching new products at Groupon, Bobby brings an ambitious and focused demeanor to envisionit. Being able to read what the market wants and finding the right resources to create it makes Bobby a great fit for the envisionit team. And, with a love of comedy and our Chicago Blackhawks, he always livens up any conversation. My bicycle, comedy, and rye whiskey. 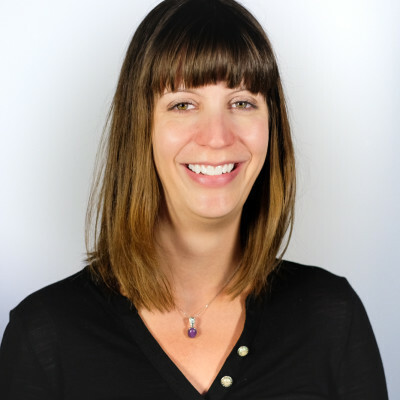 With over a decade in digital, Megan has established a track record for leading multi-channel programs that resonate. A digital maven at heart, she relishes in establishing efficient frameworks and guiding strategic solutions for our clients. Having worked both client and agency side, Megan demonstrates a compassionate approach to our clients’ goals and uses her experience to simplify complex marketing challenges and drive growth. Prior to envisionit, she worked with an integrated digital marketing team to develop long-term strategies for clients such as Kimberly-Clark, BP & BP Castrol, Sam’s Club, iHeartRadio, and Barclay’s. It may surprise you to hear someone as passionate about digital as Megan refer to an ineffective tactic as "didn't cut the mustard." Well, old-timely parlance is all part of the charm. Weezer and No Doubt. I’m not sure who opened for whom, but it was at The Palace in Auburn Hills. Bob’s specialty is ad operations. He’s the K.I.T.T. to the creative team’s Michael Knight. He takes all the creative and traffics it to the right partners — setting up the campaign, implementing tags for tracking, and working directly with our partners to ensure a smooth campaign. When he’s not engineering a campaign, he’s working on new and exciting opportunities to bring to our clients, quality assurance testing, and finding the best placements for clients’ content. At home, Bob likes to relax with some music, TV, or the Cubs game — despite his southside upbringing. Tacos. It is nearly impossible to ever get sick of tacos. Goodfellas, A Clockwork Orange, & Fargo. 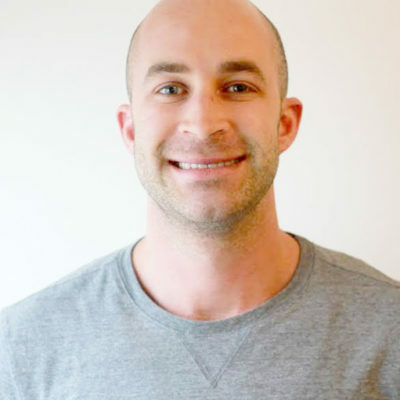 Jack of all trades, and master of some, Joe Mathieu came to envisionit as a paid search manager, but brought with him a decade of experience in strategy and execution for programmatic & paid social as well. 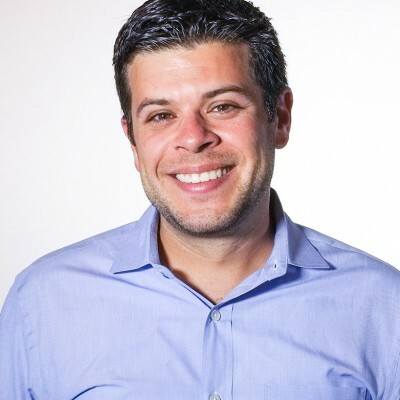 From integrated campaign management with eCommerce brands such as Target & HP to financial services with Bank of America & State Farm, Joe now leads up our paid media department, connecting advertisers with their core audience across display, social, and search. Caffeine, my English bulldog Porkchop, and my sense of vision. This is going to sound strange, but the fish tacos at Grill in the Park near the Diversey Miniature Golf Course are amazing. Unfortunately, I don’t think they’re open anymore. Technical chops a given, one of Scott’s greatest assets is his experience. Having built dozens of websites for our clients and knowledgeable about all aspects of development work from the inner workings of CMS frameworks to user experience and design, he can see what’s needed for a project to truly meet a client’s ultimate objectives – even if that means deconstructing the original idea to ensure the website can grow in the future. Quick with code and ideas, his fast work helps turn around projects with tight deadlines without sacrificing quality. Having started as an intern, Scott has grown into an integral part of our development team. What is your favorite sports team of all time? Where is one place in the world that you can’t wait to visit? Chris is a visual storyteller with a distinct perspective. Before joining envisionit, he spent 7 years as an Interactive Designer & Art Director at Upshot Agency working with big brands like Kraft, Corona, Weber, New Balance, Subway, and Hilton Worldwide. Additionally, his concept and design is now the visual identity of the Upshot Agency brand. His diverse background in film, branding, and web development helps him create work for our clients that’s far from the beaten path. Chris has a knack for creative problem-solving and a near-obsessive attention to detail that ensures his results are always persuasive and eye-catching. These abilities allow him to continuously push creative levels, getting clients’ businesses on the cutting edge of creativity and surpassing expectations every time. 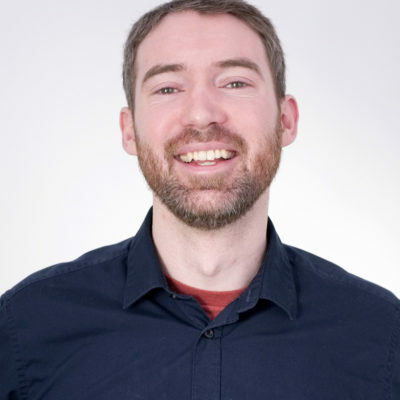 With a background in journalism and media technology, Adam’s eye for minutia and deep research capabilities mean he’s an excellent Web Support Specialist. He’ll make sure all content, copy, email blasts are up to date and in order. And should any issues arise, he’ll be able get to the root of the issue. After a 1,000 mile solo drive, he’ll miss camping in the foothills of Colorado, but he’s excited to dive deep into the websites and email blasts of our clients. And if you know a good pick up basketball game, give him a shout. The internet, a good breakfast, and a loud alarm clock. Fill in the blank: I'm really good at ___________. Feircly competing in (and graciously losing) pick-up basketball games. Muhammad comes to envisionit with several years of experience in QA and knowledge of some of the best industry tools. During the day he documents all of our new and past projects, investigates new tools that can help our team, and works with our developers to test new functionality that we create for our clients. At night, he works towards his degree in Management and Information Systems at DePaul. And in the little spare time he has, you can find him working out or watching the latest Marvel movie. Quessarito with large Mcdonald's fries and 10 mango habanero wings. Kate Winston is no cog in anyone’s wheel. In the early nineties, she cut her teeth at an agency start-up on the Bob Evans Restaurant and Foodservice account. Being responsible for all actionable decisions on that $20 million account with a ten person staff was "baptism by fire" and "the best hit-the-ground-running" experience of her professional life. She left the agency to go client-side and worked to increase local brand awareness of Giordano's Restaurants and begin a regional expansion. In the early 2000's she pioneered corporate adoption of online learning landing The Shell Oil Company and Delta Airlines as clients for Internet education start-up UNext. She has worked as a hired gun, a team leader, a fundraiser, an event planner, and a brand ambassador in organizations throughout Chicago. 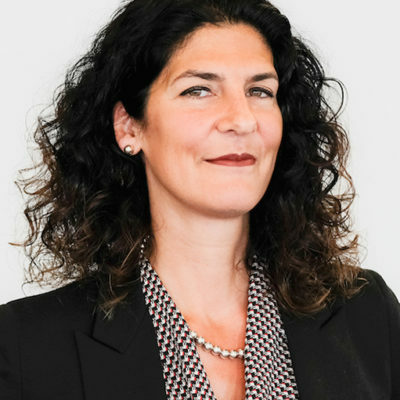 Recently she has done strategy work for Diana Rauner's Ounce of Prevention Fund and successfully helped launch the Montessori School of Engelwood. 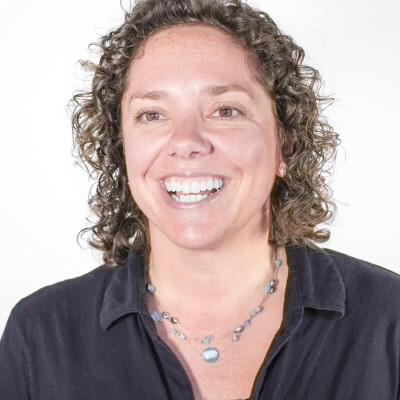 Flash forward to today, she’s joined envisionit as our Agency Lead of Strategy and Growth. She is thrilled to bring her passion for serving her clients and doing productive, life-affirming work to the envisionit ecosystem. In Kate’s spare time she serves on the Advisory Board of the David Lynch Foundation, working to bring meditation as a stress-reduction tool to school systems. When she’s not launching, leading, or breaking new ground, she’s spending time with her three children (who are always telling her she needs to do things other than work and meditate)! Wonder Woman (I do have my own lasso of truth). Finding the center of a wall without a tape measure. 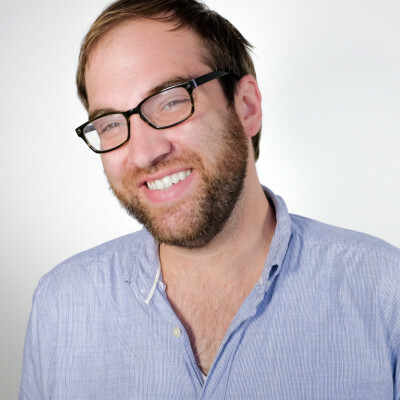 For more than 6 years, Owen has helped brands big and small craft their own stories. 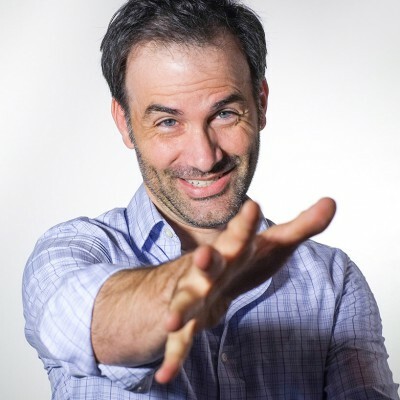 He’s written emails, blog posts, videos, banner ads, websites, and more for brands like Dyson, Sears, Novo Nordisk, and Discover. 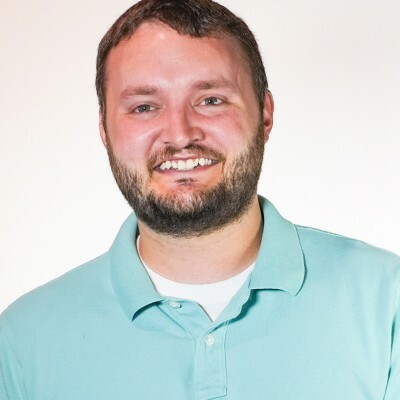 With a wealth of digital marketing knowledge — and a keen sense of a great headline — Owen will bring a unique voice to each of our clients. And when he’s at home, his daughter Fiona uses her unique voice to make her parents laugh a lot. My Kindle, walking my dog with my family, and movie theaters (especially the ones that actively discourage cell phones). Back to the Future 2 (I love weird time travel stories! ), Empire Strikes Back (I love Star Wars! ), and MacGruber (I love Will Forte!). Without Ali, envisionit would grind to a halt. She manages our daily operations and human resources – basically the how and who of everything our agency does. With a background in both sales and dance, and possessing an obsessive attention to detail, effective client relationship building skills, and a cool head under pressure, Ali is our creative-minded juggler without whom envisionit would be truly lost. Name your three favorite movies. American Psycho, The Lost Boys, and Beetlejuice. Makeup. Sounds girly, but I can make you look like a pin-up girl, a Lichtenstein, zombie, or the victim of a tiger mauling if you want. Cassie is a Jane of all trades — she has experience in SEO, media, content creation, lead nurturing, and, of course, project management. At envisionit, she's the direct link between clients and projects — keeping them on track and making sure internal teams and clients are on the same page. In her free time, Cassie enjoys exploring Chicago and seeing live music around town. My cat, music, and the internet. 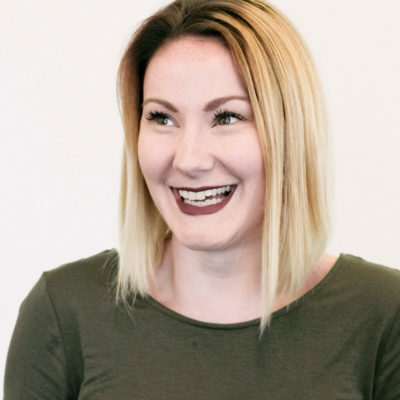 Nicole brings her trademark energy to all her accounts, working tirelessly to build client relationships and ensure envisionit’s teams stay on track. Nicole has extensive experience with large accounts, including the family of Nestle brands, for whom she managed hundreds of thousands of dollars in coupon distribution, developed brand outreach strategies and experiential campaigns, and led international website builds. With these kinds of accomplishments, the rest of us better catch up to Nicole’s early morning emails. Jessica Day from New Girl. Rebecca, Arsenic & Old Lace, and Funny Farm. Capturing the value of a tech solution requires a fluency in its capabilities as they relate to everything from marketing to commerce to operations. Luckily for us, Brian is a native speaker of biz tech, and translating customers’ real world business needs into technology solutions is his bread and butter. He's also a native of Chicago, bringing a rich network of citywide connections to the table. With 15 years in the digital space, Brian has assisted organizations like Abbott, GOGO, and The Field Museum in finding innovative tech solutions to the challenges they faced. Today, as a member of our Digital Solutions team, Brian continues to help businesses create powerful digital experiences. Big Star's Tacos De Panza. Will comes from the complex world of automotive promotions. With his insights and experience working with every level of the tiered markets, Will can handle any complex business infrastructure thrown at him. And from working with a ton of brands — from Toyota to Mercedes Benz to Porsche and more — he knows how to tailor marketing initiatives to make the most impact. In addition to maintaining healthy client projects and relationships, Will leads a very active lifestyle. You might spot him in the gym. He’s there at least 5 days a week. Guacamole, the gym, and carbonated beverages. Juggling. I'm self-taught. In high school when I was in my bedroom "doing homework" I was actually mastering my craft. Amy is an integral cog in the envisionit machine, bringing years of experience and razor-sharp attention to detail across integral business management tasks, from accurate invoices to mutually agreeable contracts. With a professional background as a dancer, she brings a certain degree of artistry to her accounting work, making her the ideal person to be the Controller of a creative agency. Neil Patrick Harris. He’d be my husband if it weren’t for so many insurmountable obstacles. The Police, on their final tour. 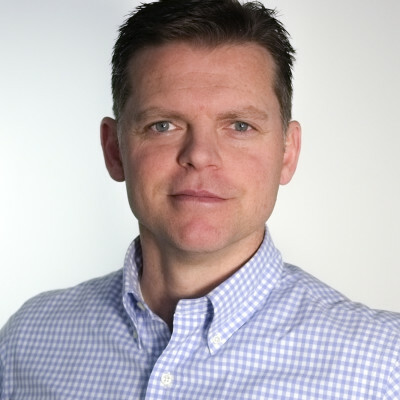 As one of envisionit’s first employees, Chris has witnessed decades of growth. He’s seen us go from a team of five to one nearly ten times that, and was even around in the now-unimaginable pre-digital days of using physical manilla folders for project tracking. 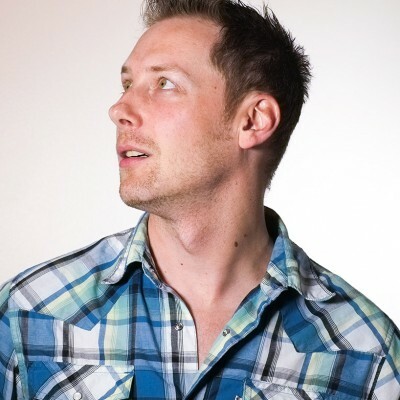 Prior to joining envisionit, Chris was a level designer. This focus on architecture and organization lead naturally to a career in development, which is how he came to join us. Ten plus years later, Chris has transitioned to our creative team as a Motion Designer. No longer swimming around in code, he now edits videos, animates, and designs print and digital ads. He’s is enjoying his new role, and is ready to see what new challenges await. What’s one adventure you’d like to have in your life? What person—dead or alive, real or fictional—would you like to meet? 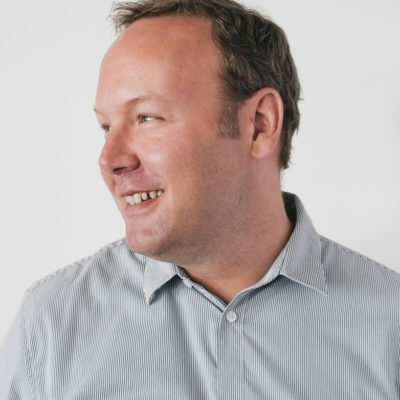 Having spent the last 12 years agency-side, Matt has learned the key to developing successful relationships: “Success is creating solutions that have a direct impact on your client's business goals and growth – this is the core to becoming a trusted strategic partner with your clients." 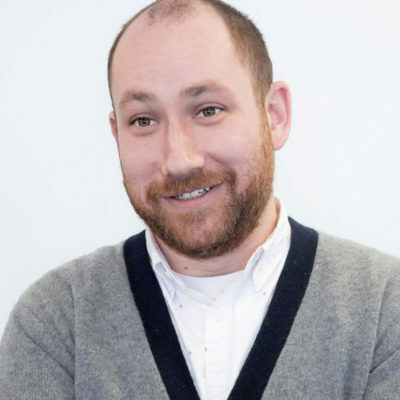 Matt’s previous work with heavy-hitter brands like Capital One, SC Johnson and CareerBuilder has honed his broad-strategy experience in an invaluable way, allowing to him identify key opportunities for clients and rally our internal teams around client objectives to deliver the best work. What’s the one thing everyone should know about you? I love Chicago, but I'm from Detroit. As head of operations and product delivery, David bridges the needs of the team with the goals of the client, constantly (or some might say obsessively) refining the delivery experience so that we’re creating the best solutions we can with the utmost proficiency. David’s unique talents stem from his experience working for DIRECTV and Kaiser Permanente on the client side, and later working with 3M, Roche, and the Department of Homeland Security, among others, from the agency side. Now an owner at envisionit, his uniquely broad perspective helps push projects to their greatest heights. If you could eat any meal, anywhere in the world, what would it be? I’d go back in time to my grandma’s dinner table. She used to make the most delicious Lebanese food. Which sports player would you like to meet the most? Tommy Lasorda. I’ve always been a Dodgers fan, and he was the manager when I was little. He had this amazing quality where—despite his temper—he could motivate a team through his enigmatic personality and charisma. Stephanie comes to envisionit with a wealth of knowledge and experience in product and project management. She graduated from Gustavus Adolphus College with a degree in international business. She got her start as a project manager at Hanley Wood Marketing, where she did B2B marketing for clients like Andersen Windows and FedEx (she still dreams in purple and orange). After working as a project manager for an internal agency at Hyatt, Stephanie realized that she missed the vibe of working at a true agency with a diversity of clients, which is how she found her way to envisionit. We’re lucky to have her (and her expertise) on board. My dog, my cat and my husband. Whether it’s award-winning short fiction, or headlines and copy for some of the largest brands, Ryan loves to tell stories. For 20 years, he’s crafted narratives for Google, Huggies, SC Johnson, Sears, and more. But he’s not a one-trick pony, Ryan knows how to take wildly different tactics and weave them together to craft a unified brand. And as the Associate Creative Director, he’ll be helping clients define their brand story, and then put it to work in the real world. The Warriors, The Jerk, and North by Northwest. Fill in the blank: I'm really good at ________________. For Jenny Laverty, it’s all about balance. 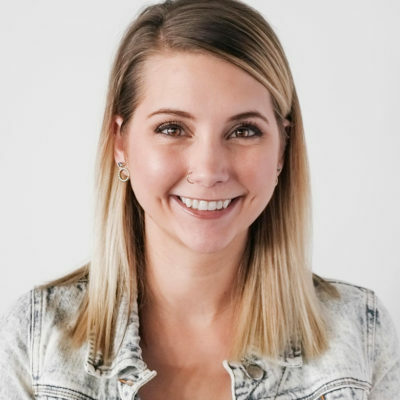 As envisionit’s Senior Media Planner and Buyer, she juggles the not-inconsiderable tasks of building strong vendor relationships, negotiating rates, meeting KPIs, and hitting target audiences in the most cost-efficient ways—all while forging genuine human connections between brands and consumers. 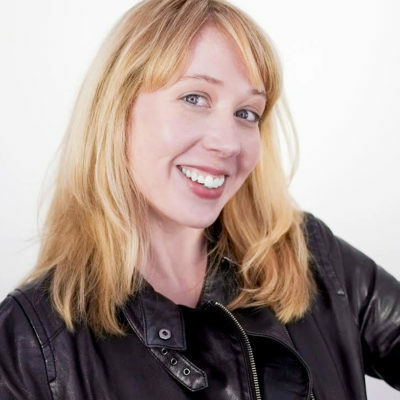 Jenny joins us by way of Tower Media and Fluent 360, where she worked with both big brands like Nissan and Infiniti and smaller clientele like Life Alert. Her career in media and marketing began out on the left coast at Havas, where she worked with Beach Body, Sensa, and other direct response marketers. It was there that she learned the ad landscape and discovered the joy in using data to make an impact for clients with uniquely different challenges. She’s glad to be back home in the midwest, but brings back a bit of the California mindset—a love of the outdoors, progressive thinking, and a pioneering spirit. When Jenny's not navigating the fast-paced world of performance marketing, she's wrangling two pups of very disparate personalities, hiking, and searching for good avocados. 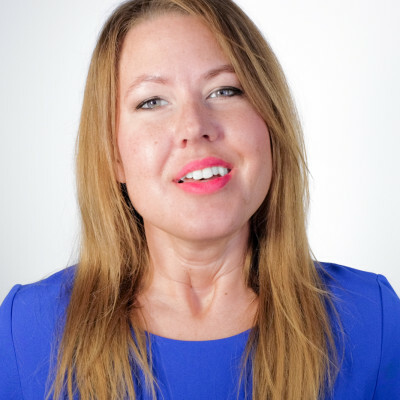 Caryn is armed with the key skills, passion and experience to make a memorable impact with audiences and influencers. 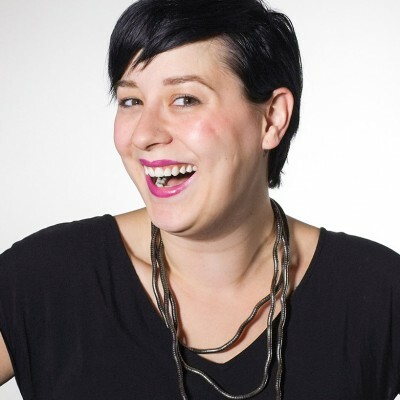 She is a driving force behind the big ideas that spark noteworthy campaigns, social initiatives and strong design. Caryn joined us in 2013 from Dallas where she worked for Tribal DDB, TracyLocke and JCPenney HQ—crafting campaigns for the likes of Pepsi, American Heart Association and Clorox along the way. In her hybrid role of creative and media, she plays a vital part in developing core creative concepts that seamlessly integrate with social, display, influencer, and partner direct strategies. She also keeps us up to speed on the ever-evolving world of tacos. A mean artichoke three different ways. 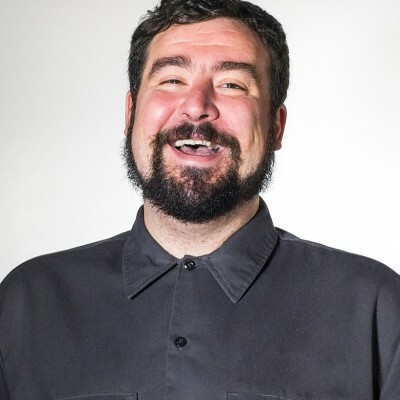 Justin applies his experience as a former Associate Creative Director and expertise in interaction design and content development to create intuitive, engaging experiences for users. He’s the bridge between creative, development, marketing strategy and more—a key piece of our agency puzzle. Outside of envisionit, he brings the same enthusiasm and creative thinking to cocktail mixology. Scotty from Star Trek – getting stuff done behind the scenes! Marissa is a shining star of envisionit’s team, with more than 15 years experience executing on vision and driving growth for agencies and businesses. She is passionate about establishing capabilities for envisionit that meet the ever-evolving needs of clients in the digital space. She keeps a close eye on efficiency, performance and staffing in addition to providing leadership and direction for Human Resources, talent management and operations functions within envisionit. She’s partnered with a wide range of businesses from tiny startups to Fortune 100 and 500 brands such as Harley Davidson and Volvo. Always smiling and dressed to the nines, Marissa is a key ingredient in our agency’s continued success. Coffee, water (not because duh, but because I seriously drink so much water) and my passport. If you could eat lunch anywhere in the world, where would it be and what would you eat? 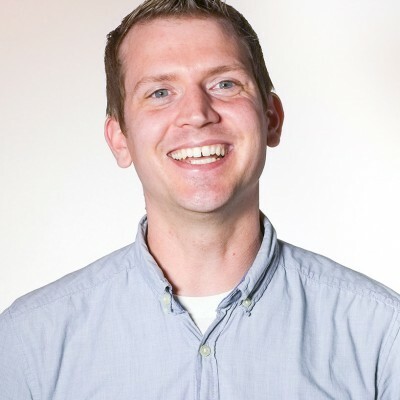 With over eight years of experience in agency and corporate environments, Mickey is an e-Commerce expert, well versed in custom application solutions and an ace at developing innovative answers to the toughest challenges by leveraging current technologies and software, including Magento, Laravel and Code Igniter. His work for some of our current clients includes highly efficient database solutions that reduce server resource consumption while clearly defining relations and business rules. Mickey’s home-brewed beer is also a welcome treat in the office when we’re celebrating a job well done. I brew beer, really good beer. How many different types of beer do you brew? I have about 26 different recipes, each of which I’ve made variations. If you’re looking for a human Swiss Army Knife, then Chris is it. 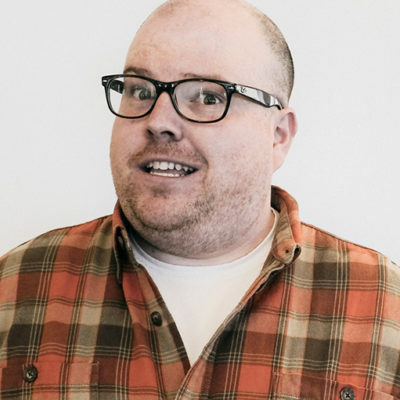 Moving from Denver to LA to New York – and now sweet home Chicago – he has multitasked his way across America, managing integrated marketing and web development projects for the likes of Coca-Cola, Johnson & Johnson, KPMG, and New Balance. When he’s not indulging his obsession with organization (he has a label on his label maker), he’s out on a run, getting his caffeine buzz on, spoiling his dog Stevie Nicks – and taking in as much art, design, and architecture as humanly possible. Air, food, water… oh wait, this is one of those get-to-know me things. Sarcasm, dad jokes, Fleetwood Mac - Rumors album. Is it weird to say Dorothy from the Golden Girls? She’s tall, witty, gives great advice, and loves to help people. Nick is skilled at finding common ground. Whether he’s getting developers, marketers and creatives on the same page or facilitating communication with clients that have their own industry-specific vernacular, he knows how to translate asks into action. He motivates both the internal team and our clients by creating a unifying sense of purpose and finding unconventional solutions to satisfy everyone’s problems. The fictional character most like me is? Agent Luke Hobbs: loyal to my friends and family and pretty preceptive. Also more into professional wrestling than you'd expect. The Godfather, Strange Brew, and Enter the Dragon. Trained as a creative, but experienced in project management, Lo brings a multi-dimensional resume to envisionit. A graduate of the American Academy of Art, Lo went on to a long career as a Jane-of-all-trades, first as a designer at AlphaGraphics, then at Wintrust. It was there she honed in on project management as a focus for her career. But Lo hasn’t left art behind – which we’re happy to hear – she enjoys creating spray paint art in her spare time. 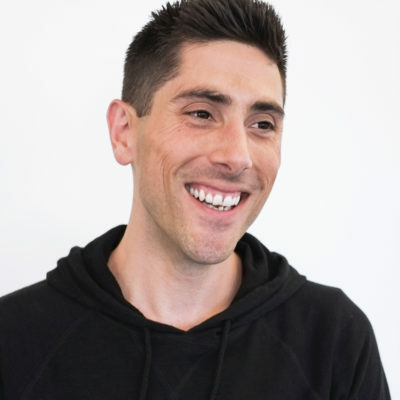 One of envisionit’s earliest employees, Adam is a true pro at expertly matching our developers’ skills and expertise with client needs, coordinating layers upon layers of complex interactive projects and guiding the agency forward in tech innovation. He started as a Flash developer and has been a part of nearly every type of development project, from general marketing CMS builds to full-blown web applications. Adam’s experience as a developer, designer, illustrator, painter, musician, and general jack-of-all-trades helps him see every project from many different angles. Also, he’s the office foosball MVP. What is one place you would like to go in your lifetime? I’d love to see Japan, and I wouldn’t mind going back to Amsterdam. Definitely Radiohead in Grant Park in 2001. Mike’s equal focus on big picture thinking and minute detail is his secret to creating great work, but his ability to turn websites and videos into complete experiences is what adds that extra “wow” factor. 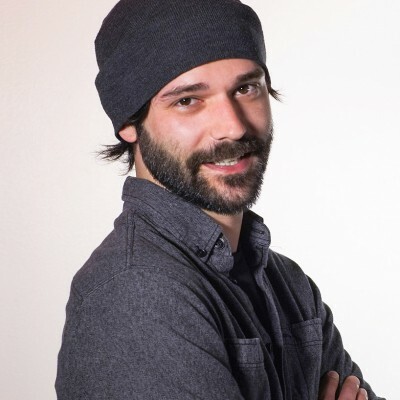 Starting at envisionit in the early days as a Flash and front-end developer, Mike migrated to the creative team after developing his chops with After Effects, Premier, and Cinema 4D. Today, he ensures our work is a deft blend of technical finesse and creativity. What are your three favorite bands? I’m going to have to say Tool, The Deftones, and Alice in Chains. Saw them all in concert, and they were amazing. Who put on the best show? Oh, that’s a hard question, but I’d have to say Tool. As an owner and leader, Rob’s deft hand inspires the agency to produce work worthy of their greatest potential. 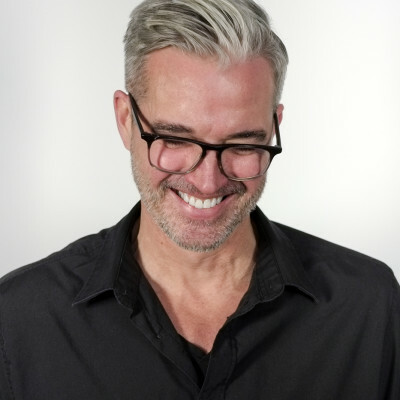 Rob’s leadership is rooted in an unrelenting focus on creative strategies that lead to client growth, and his unwavering promise to do what’s right for the client, always. With more than 20 years of experience and more awards than we can count, Rob has been integral to the growth and expansion of envisionit, as well as numerous high-profile brands such as Coca-Cola, Jack Daniel's, True Value and Chili’s. Sitting still has never been Rob’s strong suit. If he is not on the water kayaking you will find him restoring vintage watches and cameras or hand-stitching custom designed leather goods, as well as enjoying his lifelong passion of composing and performing music. Cortona, Italy right in the square. I’d have fresh mozzarella balls and tomatoes with crusty bread and a glass of wine. There is no way I can answer that question. Can I name 50? The English accent might throw you off, but Judy landed in Chicago in 1996 and never looked back. Writing is definitely her passion, but it’s not the only one. Four dogs and two cats tell you she’s an animal lover, and living in a converted factory with artwork crowding the walls tells you she’s an architecture and fine arts devotee. When she’s not busy writing award-winning content on arts and entertainment, business leadership, travel and tourism, how to dump your boyfriend, and everything in between, she’s exploring the Chicago cultural scene, keeping up with the latest venues, events and happenings. Liz Lemon. Tina Fey totally stole my reality. Sarcasm. I'm British. We're born with it. 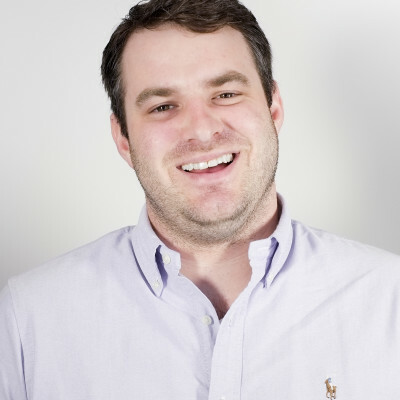 Derek specializes in front-end work, but dabbles in just about everything in the development world. Starting at envisionit as an intern and then contractor before becoming a full-time member of the team, he’s become an integral part of our development group, tackling the toughest challenges with the flexibility to adapt to ever-changing situations and infinite patience to tackle unforeseen issues. The Big Lebowski, Blow, and The Sandlot. What’s one thing people don’t normally know about you? I used to be a pretty regular poker player. The biggest pot I ever won was about $1,000. To anyone who knew Todd as a child, founding envisionit would have seemed the only natural outcome. His genuine, infectious energy, coupled with an effortless inquisitiveness for business makes him a positive multiplier for anyone he works with. He loves helping great businesses grow. Since the agency’s inception in 2002, Todd has maintained absolute focus on our vision: creating tremendous growth opportunities for our clients. His passionate understanding of digital, combined with an innate ability to see the parts and whole of a situation, has allowed him to discern great opportunity for clients. It’s this unique ability that sets the tone for our culture: envisioning a client’s entire business, not just what’s in front of us. While his influence can be seen in nearly all of our client engagements, Todd has been an integral leader for clients such as Fairmont Hotel, Toyota, Braintree (PayPal), and American Egg Board. Todd acts as an advisor and entrepreneur engaging in various endeavors as he builds opportunity for the agency and its partners. If you could eat one meal for the rest of your life (without health consequences) what would it be? That’s simple. Cheese fries. While steak, lobster and sushi are close seconds, there is something about fresh cut fries with some dunking cheese that does me in. Falling asleep. I can be out in seconds and sleep through pretty much anything. A pretty convenient ability with young kids… (for me at least, but don’t ask my wife). What do the Toxic Avenger and Best Buy have in common? Our program manager. Greg began his career at the legendary B-movie production company Troma Films, and has gone on to a long, varied career. Greg has managed branding, consumer packaging, digital marketing and web development projects for Warner Bros., blu and iHome. With his experience growing brands to their fullest potential and national prominence, he’s a great addition to our team. Italian. I’ve been spoiled since childhood by an Italian grandmother and mother: think Sunday dinners in the basement Italian. Darby has a wealth of experience all centered around his analytical mind. After spending a few years in the lab creating pharmaceutical compounds for clinical testing, he made the jump to SEO. While it may seem like a long jump, Darby’s skills in research, problem-solving and data analysis translate exceptionally well to the world of SEO. And with his search-related experience in the complicated automotive world — with different tiers of service and many clients to handle — Darby brings a deep understanding of the intricate markets that many of our clients are in. He’s excited to dive headfirst into analyzing, strategizing and improving the keywords, content strategy and search insights for our clients. Peter Parker. Just a nerd trying to get by and do what's right in the world. As a dad, I have great power to influence and lots of great responsibility. Also, I would totally make web shooters if I could just get the formula right! ...using obscure or dated movie/TV/pop culture references. I'll never stop because Goonies never say die! Monica brings experience that spans a wide variety of interests – and both coasts – to envisionit. Prior to joining us, she had managed complex projects for EF Education, the United States Soccer Federation and Northwestern University. Monica’s skill in deftly balancing the needs of clients and internal resources are a huge asset to us. And, her passion for a good laugh and good food means she’s definitely the right fit for us. “The Breakfast Club” or any John Hughes movie; “Finding Neverland,” absolutely touching; “Almost Famous” – if a movie has a great soundtrack, I’m a sucker for it. Like “Chef” – another great soundtrack. My mom’s empanadas de pollo, pastelitos de queso and pukacapas.